Twenty-six-year-old Katie Macauley has placed all her hope in Hope Springs, a small town in the 1870 Wyoming Territory. 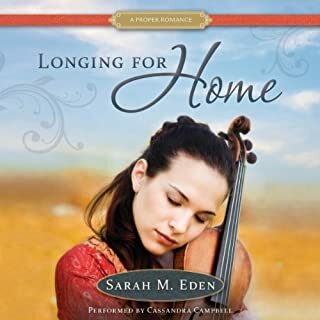 But if she wants to return home to Ireland to make amends with her estranged family, she’ll need to convince the influential Joseph Archer to hold true to his word and keep her on his payroll as his housekeeper - despite her Irish roots. 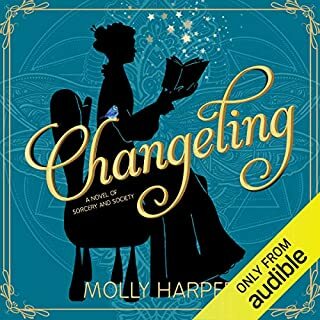 When Joseph agrees to keep Katie on ash is housekeeper, the feud erupts anew, and Katie becomes the reluctant figurehead for the Irish townsfolk. Claire’s visit to a luxury hotel in Maine awakens repressed memories and threatens all she holds dear. In 1989, Claire Dellamare disappeared from her own fourth birthday party at the Hotel Tourmaline on the island of Folly Shoals, Maine. She showed up a year later at the same hotel, with a note pinned to her dress but no explanation. Nobody knows where Claire spent that year -- and until now, Claire didn’t even know she had ever been missing. But when Claire returns to the Hotel Tourmaline for a business meeting with her CEO father, disturbing memories begin to surface . . . despite her parents’ best efforts to keep them forgotten. Luke Rocco lost his mother under equally mysterious circumstances -- at the same time Claire disappeared. After a chance encounter reveals the unlikely link between them, Claire and Luke set out together to uncover the truth about what happened that fateful year. The letter came in secret, with a pearl eardrop from an aunt long thought dead, resurrecting the forbidden past. Banished by her spiteful half sister, Queen Mary, to Hatfield House in the English countryside, 25-year-old Princess Elizabeth cannot refuse the summons. The Boleyns are in grave danger. And Elizabeth, daughter of Anne Boleyn, is marked for death by a master poisoner whose reign of terror may have royal sanction. Wonderful Combination of History and Mystery! FILTH is a lawyer with a practice in the Far East. A few remember that his nickname stands for Failed In London Try Hong Kong. But Old Filth is not as pompous as people imagine, and his past contains many secrets and dark hiding places. This is your life Penny Nichols...Penny Nichols is a historical researcher working on a big-budget film in the south of France when she gets an urgent call. Her Aunt Penelope has just died, and Penny's presence is required in London for the reading of the will. 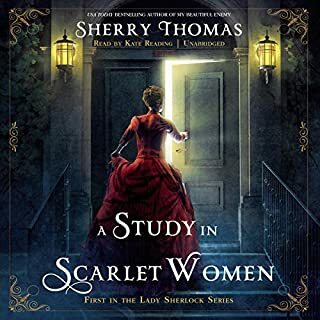 With only a slim recollection of her eccentric aunt, Penny is astonished to learn that not only is she the bona fide heiress - but she's also been invited to put her research skills to work. The comical, fantastical, romantical, (not) entirely true story of Lady Jane Grey. In My Lady Jane, coauthors Cynthia Hand, Brodi Ashton, and Jodi Meadows have created a one-of-a-kind fantasy in the tradition of The Princess Bride, featuring a reluctant king, an even more reluctant queen, a noble steed, and only a passing resemblance to actual history - because sometimes history needs a little help. At 16, Lady Jane Grey is about to be married off to a stranger and caught up in a conspiracy to rob her cousin, King Edward, of his throne. But those trifling problems aren't for Jane to worry about. Jane gets to be queen of England. I haven't had this much fun reading a book in a long time. Probably because it's been so long since I've read anything by Jasper Fforde. There were many laugh-out-loud moments in the reading of this book. My Lady Jane is the story of Jane Gray who ruled England for nine days after the death of Edward VI (Henry VIII's son). But this isn't the story that you read in the history books. ("Part II: In Which We Throw History Completely Out the Window." Haha.) I didn't know what exactly the authors had changed when I started the book, and I liked that way because when I found out the central premise in the first chapter or so I was highly amused. My Lady Jane was written by three authors, Cynthia Hand, Brodi Ashton, and Jodi Meadows, and they obviously had a fantastic time writing this book together. I love, I mean really love, all the narrator asides. I thought it was really fun how they were so self-conscious and meta about the telling of the tale. Now I'm kind of at a loss for what to listen to next, and it's been a long time since a book has wrecked me for any other book. This book is incredible!!! It's funny and clever. Full of good British humor and wit. The narrator is perfection. I absolutely adore this book. It's a must read. Historical fiction/romance is not my thing, but this was on sale, read by K. Kellgren, and had a lot of good reviews. I almost returned it in the first half hour as too cute, trying too hard, just not interesting - how could I ever get through a few minutes more much less the full 13+ hours? THEN the magic happened - could hardly put it down for the next two days and intend to listen to it again when I need something absurd and cheerful. Also wonderful and weird. Yes, Python, FForde, Adams, Pratchett fans, and probably quite a few serious history scholars and English lit majors are likely to enjoy it. Words cannot express how wonderful this book is. It's quirky, hilarious and a wonderful twist on history. The narrator is very dramatic, but it works so well for the story. You must read this book, it's getting added to my very prestigious favourite list. 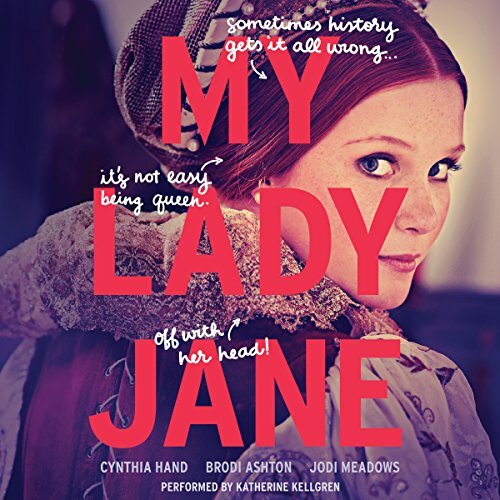 I go back and forth on whether &quot;My Lady Jane&quot; deserves a 4 or 5 star rating. This book truly impresses me for a young adult historical fantasy. However, I find the beginning a bit slow, which is why I hesitate to award it a 5 star rating. &quot;My Lady Jane&quot; is truly a gem among the sea of mediocre young adult reads. This book has it all-- romance, history, action, adventure, intrigue, and a bit of mystery. The authors put in a lot of labor to research the historical aspects of the novel without sacrificing the fun and whimsical fantasy portions. I can see teenagers reading this book and suddenly deciding that they need to find out who Lady Jane Grey really is. They will whip out their cell phones and quickly scan the Wikipedia page about her. No matter where they find their historical research, I am always delighted to see more young people take an interest in history. The characters are amazing! They are all distinct. Many are based on factual people, like Edward, Jane, and Gifford, to name just a few. 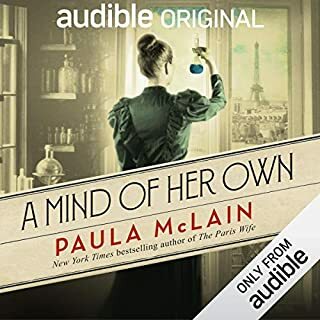 In the audible version, the voice actors bring the characters to life with distinct tones that replicate the personality traits of each character. Jane, a bookworm know-it-all, is someone that I can identify with. She always has her nose in a book, a characteristic I embodied as a young girl. She is also very opinionated with her knowledge. As a woman in a time period when they are underappreciated, she is not afraid to speak her mind. Jane is brave, intelligent, ingenious, creative, and a strong heroine that makes a fantastic queen for the nine days she rules. All the female characters are well developed and strong role models for young girls everywhere. Jane's aptitude for leadership rivals her successor the future Queen Elizabeth, affectionately nicknamed Bessie. The weaker characters are the males, which I was ok with because the book is about Jane. Edward is my least favorite, but, then again, he epitomizes the ever whiny and petulant opinions of a teenage king. G grows on me, but he also started as a nincompoop who had to develop and mature quickly thanks to the influence of Jane and the ever present potential for war with Mary Tudor. The characters are fun regardless of their role as protagonist, antagonist, or supporting character. 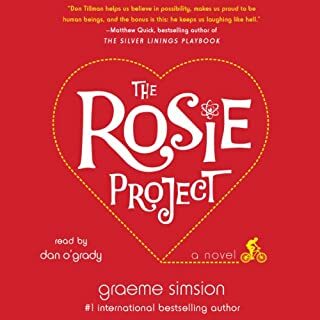 The narrator telling the story is also a character and inserts her voice as a way to stop the action and reassure the readers that everything is going to be ok. These portions of the book remind me of a troubadour or a storyteller during a live performance. They are hilarious and keep the drama and excitement to a manageable proportion, so the younger readers do not walk away in utter fear that everyone is going to die. The fantasy aspects provide a unique and flavorful twist to what some young people might term a boring historical reality. Pronounced &quot;Eth-y-un,&quot; these people have the ability to transform into animal form. Meanwhile, the Verities want to exterminate the shapeshifter members of society. Hmm...does this conflict remind us of anything? Say...the Protestants versus the Catholics? The fantastical element to the divisions in England gives the book a fun and different grounding point for young readers who might not understand the religious reasons for fighting. The authors create an alternate reality and develop it substantially throughout the course of the book. I would love a companion read similar to &quot;Fantastic Beasts and Where to Find Them&quot; from the Harry Potter series. The setting is nothing to call home about. It takes place in England, and it feels like England. There are castles, forests, and, of course, the tower of London. The plot starts off extremely slow, which was the result of switching constantly between Edward's and Jane's perspective. The chapters change point of view between the cousins and G, but I find myself most excited by the chapters where Jane's voice is center stage. There is a lot of excitement in the book, a little bit of death, a pinch of romance, and even a mythical great white bear. I love the adventures of all the characters. There are some surprises, to be expected because the book gives an alternate history to what we think we know about Lady Jane Grey. Readers of any age will find themselves on the edge of their seats as they try to figure out how this whirlwind book will end. Ultimately, the book has a humorous side--imagine Monty Python written by a woman. There are puns and many laugh out loud moments, although some of the British humor can get boring. Others harken it to a contemporary version of &quot;The Princess Bride.&quot; It is a stretch because &quot;The Princess Bride&quot; definitely deserves a 5 star rating whereas this one hovers between a 4 and a 5 star rating. Other than the aforementioned slow beginning, there are other reasons I rated the book down a little bit. I found some of the outcomes too predictable, especially considering the gendered reality of the time. I wanted there to be less emphasis on gender differences between the characters and even pull it back from some of the kid sentiments, such as &quot;ewww, she's naked!&quot; or &quot;oh gosh, I do not know how to kiss!&quot; Then again, I find that the authors probably tapped into the silliness of teenage immaturity rather well as it is meant for a young audience. I did like the happy ending even though it was a traditional and expected outcome. The twist regarding the poetry in the book was definitely foreshadowed. Overall, I still want to rave about this book and highly recommend it to all the people who read my reviews. It is fun. It is different. It will make you laugh and look at a dark point of British history in an unique light. It is suitable for all ages. Plus, the audible version really brings the entire book to life. It is a perfect for bedtime or a long driving trip because the entire family can enjoy it. If given the chance, I will read the other books in the Lady Janie series. Kudos to the authors for their research labors. You taught us something about history while maintaining a lighthearted tone for the enjoyment of all. Would you listen to My Lady Jane again? Why? Yes, because it took history and twisted the plot a little to make the story more interesting. What about Katherine Kellgren’s performance did you like? I loved how excitedly she read the book. Her performance with each character made the authors' words more enjoyable because I could see the characters because they each had a distinct voices. Story was hilarious on it's own, but the narrator MADE it! Great time, great story. Highly recommend. i am very impressed with this book. the performance was absolutely amazing. i would recommend this book. the storyline was great and the different voices were amazing. I haven't enjoyed a book this much in a long time. Channeling The Princess Bride, this is a tale of adventure, romance, and a horse--a cute horse who is also a man. They nailed the nods to pop culture, history, and classical lit. It's not often you get Shakespeare, Monty Python, The Game of Thrones, and the Catholic/Protestant struggles for the throne (and more) all in one place--while laughing and rooting for a rat (well, not really a rat--you'll see). This book is great for teens and up.